Wednesdays, Thursdays, and Fridays will never be the same anymore…with That Winter, the Wind Blows joining the Wed-Thu drama club last week, the ratings game have just begun. 7th Grade Civil Servant is still going strong against the new contenders, including Iris 2. As for me, numbers aren’t a big deal; I only care about the stories the dramas have for me. …and the cute guys. Muehehe. That Winter, the Wind Blows – This week, I’ve come to realize that I love this show I love it so much for me keep wishing that it would be nice if the episodes released every week are more than two. A feast for the eyes but might not be something good for the heart. Soo and Young are dubbed the ‘Oxygen Couple’ for the reason that they give a breath of fresh air for their chemistry, but they are also the reason why my precious oxygen is always wasted away, breathing nervously for them. Do I hate them? No, my heart is aching for them to end up together, although that might be the impossible outcome from the whole problem. Jo In-sung and Song Hye-kyo are beautiful people who got perfectly cast in a beautiful drama. The zoom-in was a little hard to get used to, but it had a good effect in highlighting the prettiness of the leads. They are undeniably good at creating chemistry with each other and I’m rooting for their characters to end up together. Jin Sung and Hee Sun are listed as the second leads but they rarely come out. However, it makes me appreciate their appearance more in the drama. They are like the adopted little siblings of Soo and serve as his henchmen and little intel team behind his agenda of conning the Oh family. 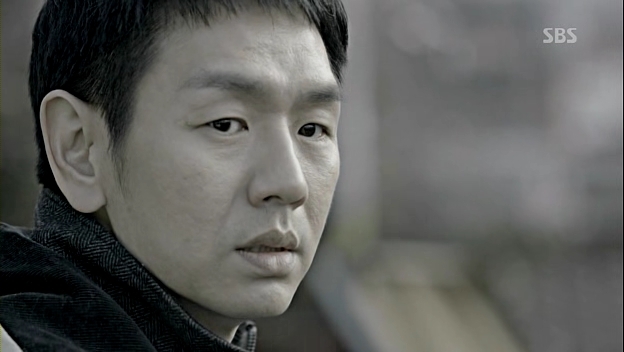 Jin Sung is no doubt a lovable loyal puppy, but I have mixed feelings towards Hee Sun. I know, she might blame Soo for causing the death of her unni, but to put the blame on him forever…isn’t that too much? At first, I thought she was jealous because Soo now has a new little sister instead of herself, but right now, I’m not sure about her true intention. Anyway, Kim Bum is super cute and I sometimes expect Eunji to blurt out her Busan accent, so I love to see them together in the drama. Moo Chul is an interesting villain. I hated him at first for showing himself in front of Soo all the time (more like I was annoyed with his unannounced presence). I assumed that he must knew Hee Sun and her unni Hee Joo quite well and turned out that he had a one-sided love for Hee Joo back then, but she only had her eyes on Soo. Ouch, his hate towards Soo is not entirely groundless. That makes it more interesting: is he set on watching Soo successfully return the money, or he just want to torture Soo until the last moment of his life? Who thinks that Attorney Jang and Secretary Wang suit each other well? He’s cute with his little crush towards her. 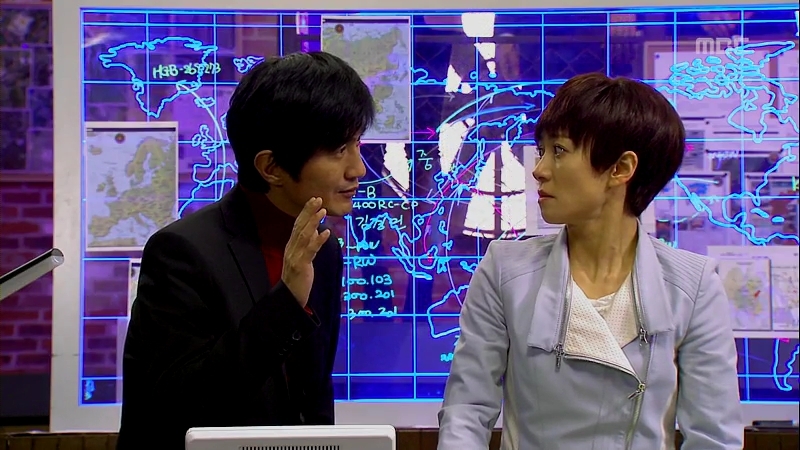 7th Grade Civil Servant: One of my sources of laughter right now. It wasn’t love at the first sight, because I don’t really like the first episode and very close to dropping the drama altogether, but decided to put it on hold until I have the mood to watch it. It just happened that way: I suddenly had the urge to watch it and I was hooked. However, as the drama made its progress, I started to like Gil-ro. 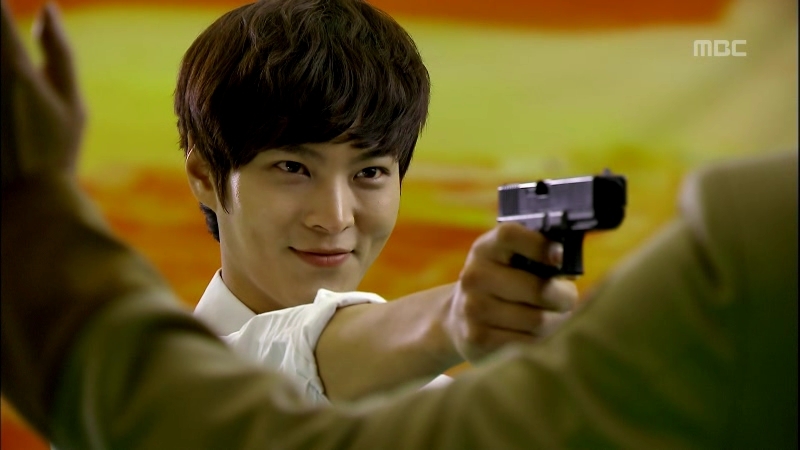 Well, he’s Joo Won to begin with, and beneath his childish temper, he’s a considerate man among the jerk chaebols in dramas. He’s brave to voice out his thoughts and do whatever he thinks is necessary. Most of the time, his opinions and actions are right but when he’s wrong, there is someone who will try to reason with him. Seo-won! I don’t know when I started liking her, probably around episode 2, when she had to use Do-ha’s hands to help her. LOL. The girl who will do her best in everything, ‘The Lying Machine’. Isn’t it irony that she hates to lie, but she’s born with the skills to lie? Just like Gil-ro , she isn’t afraid to speak up her mind, even to her superiors. She’s a straightforward person and I am SO glad she decides to come clean with her feelings towards Gil-ro, although that will be another problem later. I really ship Gil-ro and Seo-won!! Simply because they are one cute couple who can argue and reconcile easily. I find that the two trainers so supportive of their underlings and comrades. It’s something admirable, especially when Won-suk seems to be so nonchalant about everything, while Young-soon appears untouchable; however, they are different when I get to know them throughout the episodes. Both of them always give direction and guidance to their juniors and through these two, it’s somehow concluded that living as secret agents are not easy at all. The thing that I am watching right is just a start for young agents like Seo-won, and they will have more things and challenges coming their way. That brought me to the next focus that I like about the drama, that is family. 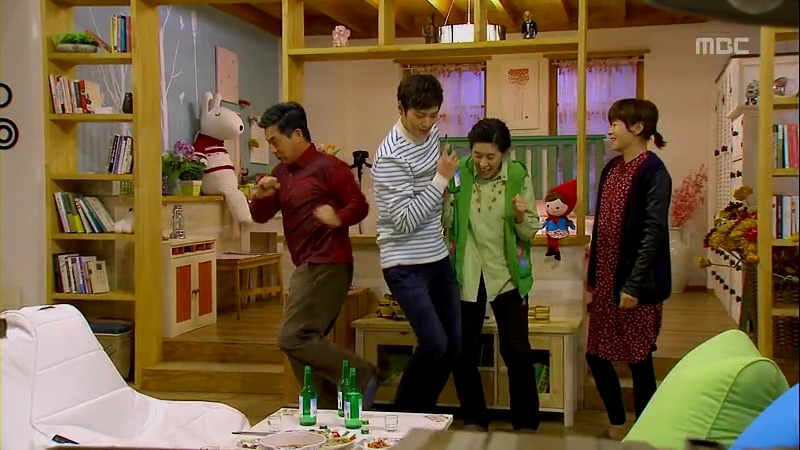 There are three families featured in the drama that represents the different types of family: Gil-ro’s rich family, Seo-won’s family who comes from the rural area, and finally, Won-seok’s family. Gil-ro’s household is an example of a complicated family: they have the money but the relationships between them are awkward. His relationship with his father is one example, where both of them can’t express their feelings properly for each other and they always end up in a situation that will hurt themselves. 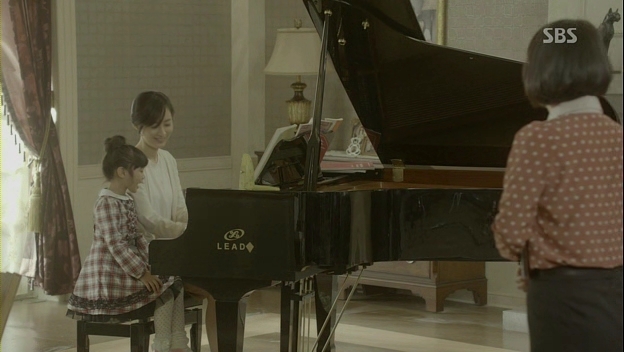 Although Seo-won’s family isn’t that rich, they are close with each other, no matter how many times they argue. They can express the love and care they have for each other, through hugs and words. Won-seok’s family is an example of what the young agents’ families could possibly become in the future. He’s working for the sake of the country but he can’t even fulfill his responsibility for his own family. It’s like choosing between the family and the greater good, which is of course, the safety of the country. I think he’s trying to make amends for himself by assigning Gil-ro to stick beside his father (apart from the reason to chase him away secretly from the academy) so that Gil-ro can do what he fails to do, which is to protect his family. These are my thoughts for now. I know that dramas have the possibility to go awry after some time and my take on them will change, but I am enjoying myself watching them. I really hope that the awesomeness continues until the last episode of both dramas. 7급 공무원 & 그 겨울, 바람이 분다, 화이팅! That Winter, the Wind Blows is just so BEAUTIFUL VISUALLY that I am not sure I know if I am even listening sometimes so have to rewatch again. 😀 Kind of watching 7th Grade but not Iris 2. Doojoon is awesome there. I’m addicted to some mystery scenes and also actions. Chansung? 😉 omo I never thought that he has a good acting skill.